How Much Can You Afford to Pay Back? Should You Get a Secured or Unsecured Loan? 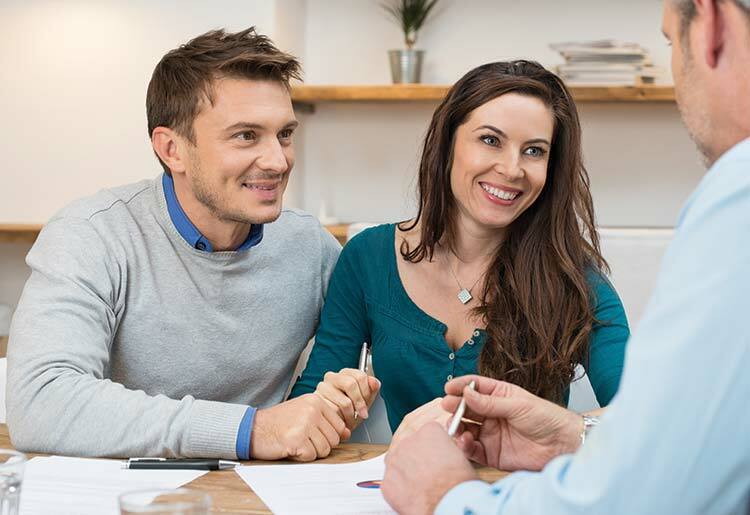 While unsecured loans often offer opportunities to people who cannot obtain other types of loans, you want to have a strong grasp of your personal financial situation before applying. Taking out a personal loan can be a wise decision if you’re looking to consolidate debt or make a purchase that you simply don’t have the funds to make at the moment. Personal loans are smaller and typically range from several hundred dollars to get through a dry spell, to loans of up to $100,000 for major expenses. These loans can be fixed rate or variable, secured or unsecured, and less than ideal credit doesn’t need to be a deal breaker. Finding the right personal loan company with terms that fit you can make all the difference, so knowing what you’re going into is key. A personal loan can be a smart way to consolidate your debt under a single low interest loan. If you have thousands of dollars in student loans or credit card debt, and you’re paying around 15% interest, you can save a lot of money by consolidating the debt with a personal loan at 5-10% interest. Some sites, like Monevo, can facilitate loans with an APR as low as 2.49%, and on SoFi, an APR of between 5-6% isn’t too hard to come by. Furthermore, consolidating your debt with a personal loan can actually improve your credit. By taking the loan and paying off your credit card bills you’ll be able to then take on an easier loan which you can pay off and pay on-time, accruing better credit. Though the costs can be a bit high, a personal loan for home renovations can be a smart move that pays off in the end. By investing money in the short term on renovations, you’ll be able to improve the value of your home before a future sale, which ideally should be able to pay for the renovations and then some. Because personal loans tend to be unsecured - no collateral is put up - the lender usually charges higher interest, but still lower than most credit cards. Most personal loans charge interest rates that hover around 10% or lower, even as little as 5%. With credit cards on the other hand, the average rates can be as high as 15%. Over the lifetime of a loan this can make a huge difference. Personal loans are often a good option if you have a small expense that you need to cover or you have temporary cash flow issues. By taking out a small debt that you can pay back quickly, you can solve those cash flow issues without going further into debt with a new loan that you couldn't keep up with. Only you can determine what your expenses are, but it's wise to take out personal loans only for things that are not too expensive and which can be paid back quickly. Most online lenders offer personal loans only up to a limit which is less than what traditional banks top out at. With LendingPoint for instance, the maximum personal loan is $20,000, though with online lenders like Even Financial the limit can run up to $100,000. Though you can run up to $100,000, it’s more prudent to keep unsecured, fairly high-interest personal loans for much smaller sums. Also, though for things like a trip or a wedding it may be tempting to take out a short term loan, it’s advisable to only accrue more debt to pay for essentials or to consolidate debt and cut your expenses. Other expenses should be paid for once you have saved up enough cash to do so without the need for a loan. 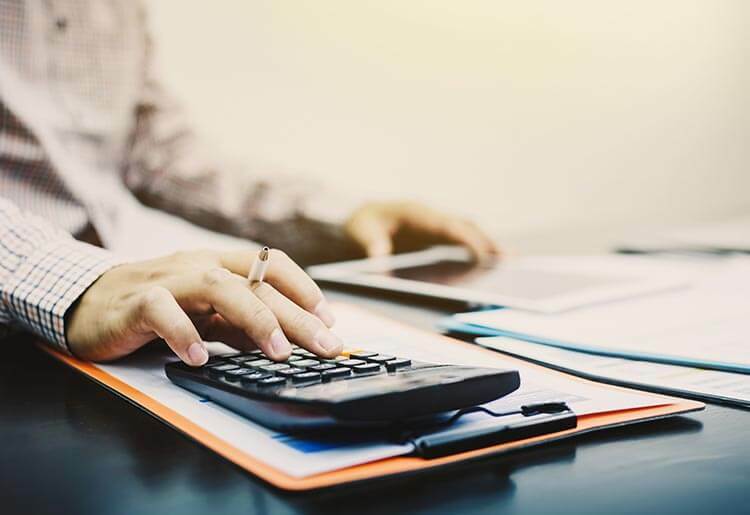 If you need a large-scale business loan that could run over the $100,000 limit or even a little bit below, you may want to examine your options for obtaining a secured business loan. Securing such a loan would require putting up collateral but would come with a lower interest rate, thus saving you money over the lifetime of the loan. Before applying for any loan it's always wise to take a step back and look at your monthly income and expenses. Ask yourself how much you can afford to pay every month towards the loan and if you’re consolidating debt, make sure that amount is less than what you’re currently paying on your existing debts. Also consider what, if any, initiating fees there are for the loan, and if the loan will be a fixed rate or variable loan. With a fixed rate loan you have the advantage of always knowing exactly how much you’ll pay each month, which helps budget. On the other hand, there typically isn’t the option to pay the loan ahead of time if you come into extra money, such as the case with variable rate loans. The last thing you want is to take out a loan to cover your other loans only to go further into debt by failing to keep up with the new loan. Take a long hard look at your monthly income and what you can budget away. You can then decide how much to take out and which terms, in particular whether it's better to pay higher monthly payments over a shorter repayment term, or end up with lower monthly payments on a longer term loan that will see you pay more interest by the time it's all said and done. Secured loans require the borrower to put down some sort of collateral - such as a car or house - which the bank can seize if the borrower fails to make their payments. With an unsecured loan you don’t have to put down any collateral - but the bank is taking a bigger risk on the loan so they tend to charge higher interest rates on unsecured loans. Unsecured loans usually have a lower limit, so they’re better for small expenses, such as paying for home repairs, incidentals, or a one-time event like a wedding or a vacation. These smaller loans will tend to have a shorter repayment schedules, with higher interest rates and monthly payments. There is a cost-benefit analysis to make before deciding whether or not to pursue a secured or unsecured loan. With an unsecured loan, you don’t have to put up collateral so you don’t risk losing your house or any other valuable property. On the other hand, lenders set higher interest on unsecured loans because they’re taking a bigger risk with the lender and have no collateral as an insurance policy. The question is, is it better to deal with tougher terms in order to avoid putting up collateral? As a borrower you’re at a lower risk, but you’ll pay higher interest and may have a harder time making the payments over the lifetime of the loan. Also, since you don’t put up collateral, the hit will be felt on your credit rating, which could take a serious blow if you fail to make payments, hurting your financial future. One of the key factors is the annual percentage rate (APR) ofthe loan. This is the yearly rate charged for a loan and typically is shown as a percentage that corresponds to the total yearly cost of the loan. Though these tend to be higher for unsecured loans, though with some sites they are limited to the range of 5.29% to 14.49%. On most sites though, like Even, these rates can range as high as 35.99% per year, so make sure to read the fine print. You should also see if your loan has a fixed or variable interest rate. With a fixed rate loan you always know what your payments will be every month, but you won't’ benefit from potential interest rate drops and also you typically do not have the option to pay off the loan ahead of time. With variable interest rates you can pay off the loan early and also benefit from potential drops in mortgage rates. In the end, it’s up to you to decide what’s most important to you. With peer-to-peer loans (P2P), you can shop around with different lenders to find the best rates. A poor credit rating can potentially be a hindrance to securing a loan. Lenders are hesitant to give unsecured loans to people with bad credit, though with companies like LendingTree, bad or less than ideal credit isn’t a deal breaker, and flexible payment terms are possible as well. With an unsecured loan the lender is taking a bigger risk so they tend to look for borrowers with higher credit ratings. If you have less than ideal credit, you may still receive a loan, but you can probably expect to pay a higher interest rate. A personal loan can be a smart way to consolidate debt, pay off an unexpected expense, and help deal with with a tough time when maybe your cash flow isn’t ideal. Luckily, these days there are many options for people with less than ideal credit, or who don’t have collateral to put down or much wiggle room in terms of what they can afford to pay on a monthly basis. Take a look at your monthly income, your loan needs, and what you can reasonably keep up with, and you should have no problem finding a lender that can provide a personal loan that works for you.